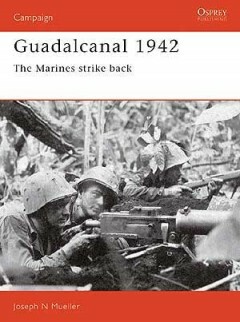 Joseph N. Mueller is a Lieutenant Colonel in the USMC Reserve and the foremost expert on the Guadalcanal campaign. He has had several articles and books published on the subject, and maintains a massive collection of photos, written material and equipment relevant to the battle. In recent years he has made several trips to Guadalcanal and the surrounding islands to study the battlefield at first hand.